On May 9th, Liberia was formally cleared of the Ebola Virus Disease after its last patient recovered on March 20th: the end of the outbreak in the country was a major milestone in the greater outbreak that has crippled West Africa. Earlier this week, a 17 year old teenager died of the disease, and nobody knows exactly where it came from. Since June 28th, three additional cases of Ebola have surfaced, weeks after the country has been free of the disease. In the last year, Liberia was hit particularly hard by the outbreak, with over ten thousand cases reported and with just under half of those cases resulting in death. 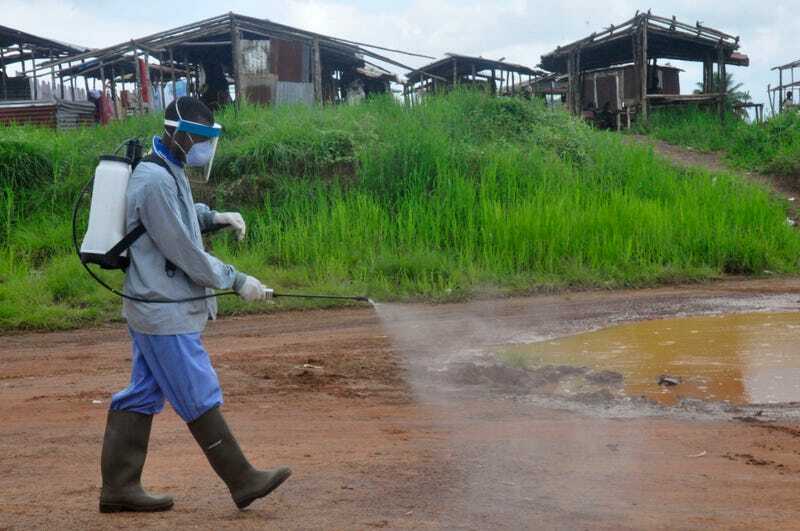 The outbreak reached a complicated stage when it appeared in heavily populated cities such as Monrovia in June 2014, and was hampered by limited medical resources and community resistance. The fight to eliminate the disease required intense contact tracing and community surveillance, as well as educational campaigns and international aid, which brought the flood of cases to an end in March 2015. Despite the speed of the response, these new cases of Ebola are worrying, because authorities don’t know exactly how the individuals were infected. Two cases appear to be confined to the town of Needowein, with another in Paynesville, not far from the country’s capital. According to the World Health Organization, the first victim came down with symptoms on June 21st, was treated for Malaria and discharged, before dying a week later on June 28th. Researchers checking up on his movements have found no obvious links to known sources: he doesn’t seem to have traveled outside of the country, nor has he come into contact with anyone who might have been from that area. One potential source of the infection might have come from an animal reservoir, lingering from the original outbreak. Alternatively, contact tracing in the community could still be incomplete, and the victims came into contact with someone who had come from an region where the disease is still present. With the lessons learned in the last year, the response to these new cases will be crucial in containing the disease in the West African country once again.